Centered around an existing fireplace, the seating area offers a comfortable spot for waiting near the new concierge desk and Optical Shop. The Gallery is the main thoroughfare connecting the south entry with the main lobby. It takes advantage of abundant daylighting and city views as it welcomes visitors to the Polyclinic. The entry addition provides a convenient link from the street level to the first floor of the building. 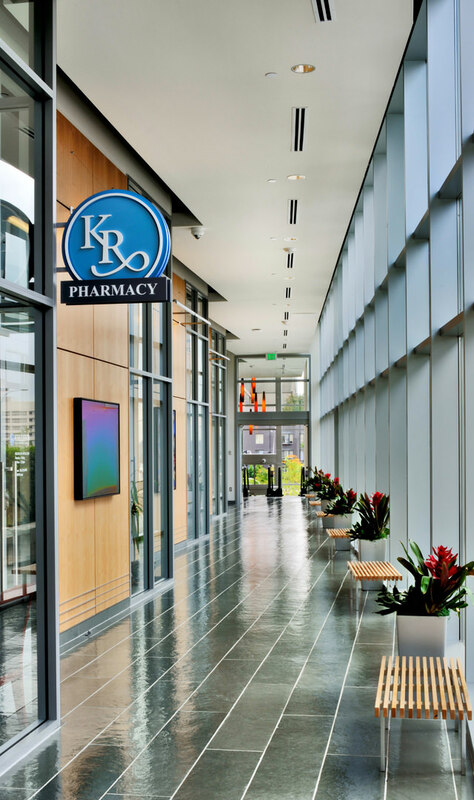 A small addition is designed to blend seamlessly with the existing tower exterior and bridge an eight-foot grade drop to enable easy patient access. 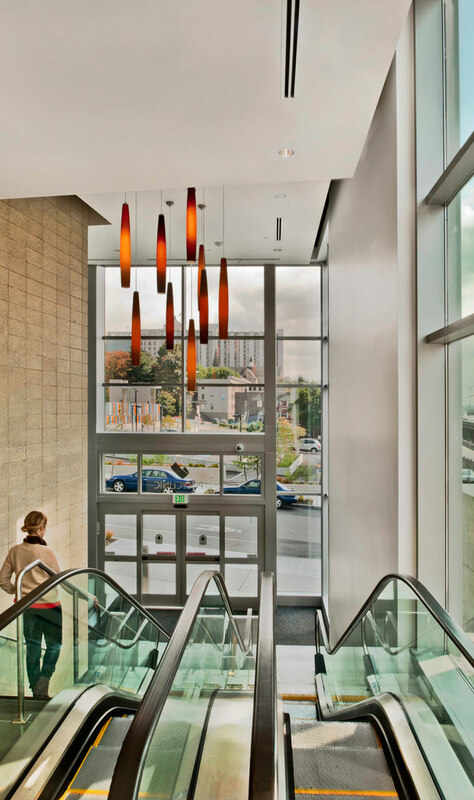 A long hallway that links the entry with the main lobby was transformed into an art gallery with city views. 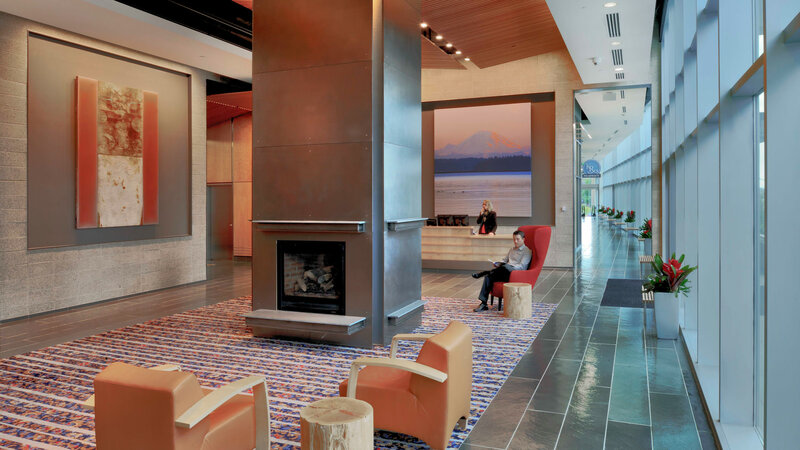 With its sophisticated and inviting selection of finishes and furniture, the main lobby and circulation areas are more than just distances to traverse on the way to the doctor’s office. Patients tend to linger in this vibrant space as they enjoy a cup of coffee and take a minute to decompress. The original concept for the tower included creating a gateway to First Hill neighborhood. The interior design of the ground floor reinforces and energizes this prominent corner by amplifying interior activity, introducing visible art and adding retail presence.